2 Bedroom Terraced House For Sale in Bury for Offers Over £90,000. 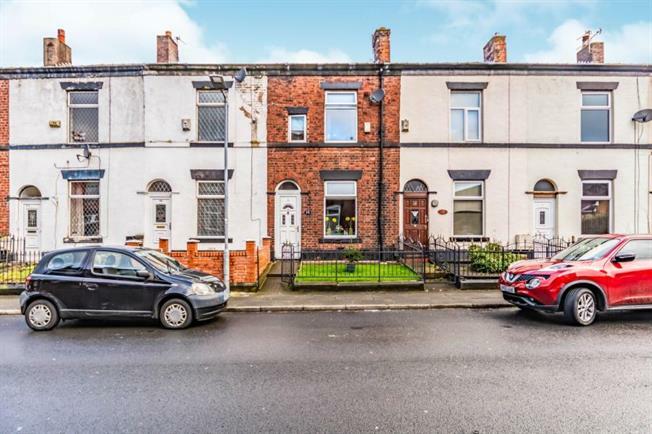 Entwistle Green are pleased to bring to the market this fantastic garden fronted mid terraced property located in Bury, close to excellent transport links, shops, amenities and Bury Town Centre. The property comprises of an entrance vestibule, lounge, modern kitchen/diner with under stair storage, two well proportioned bedrooms and stylish family bathroom. Externally the property offers a neat garden to the front and a paved yard with decked area to the rear. The property is tastefully decorated throughout and in move-in condition. Early viewing is essential for this excellent property!